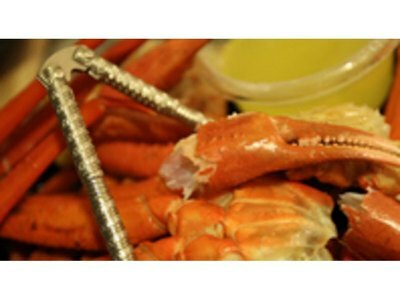 Crab legs are the tender, succulent white meat of the crab. It is a sweet meat that some claim is the best part of the crab. The best way to buy crab legs is cooked and then frozen, so all you have to do is reheat them. The crab legs are cooked on fishing boats and then frozen to assure freshness. 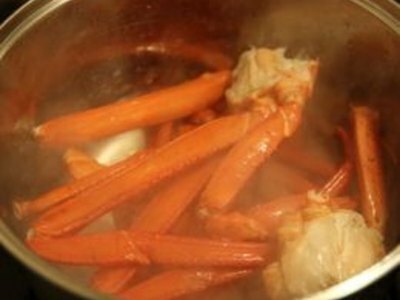 Cooked crab legs can be steamed quickly and easily. Plan for 8 oz. to 1 lb. for each person. Fill a pot with a quart of water, and add 1 tbsp. salt. Put the crab legs in the pot and thaw them in the refrigerator for eight hours. 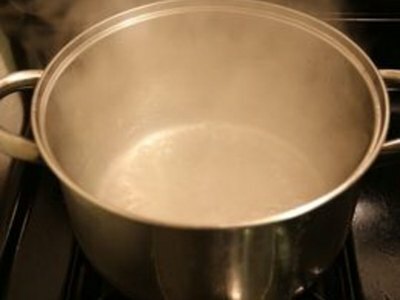 Pour 2 cups of water into a steamer, and bring the water to a boil. Place the crab legs in the steamer basket or on a rack in the cooker. 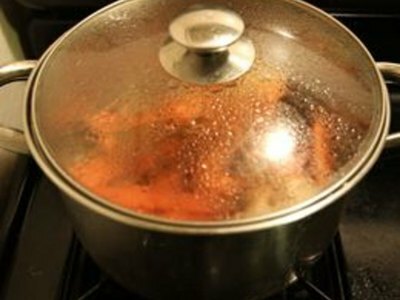 When the water starts to boil, time the legs for five to seven minutes. Check to see if the crab legs are warmed through. The first indication that they are ready is the aroma of crab. The second indication is to check the meat by touching it. If the legs are hot to touch, the crab legs are ready. Remove the crab legs and serve immediately. 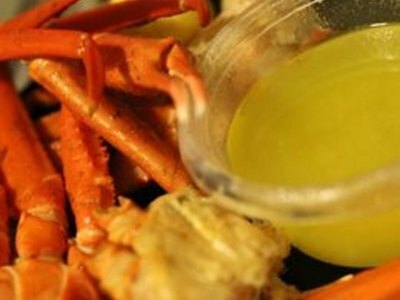 Serve the crab legs with melted butter and lemon wedges. For the health-conscious, substitute a good extra-virgin olive oil for the melted butter. Some people like to use nutcrackers or old-fashioned pry-type can openers to open the legs. Serrated scissors can be handy as can forks. Break the crabs at the joints and slit open the straight sections of leg shell for easy removal of the crab meat in large chunks. A crisp, fruity, clean-tasting wine, raspberry iced tea or fresh lemonade complements crab legs. A fresh garden salad with vinaigrette or ranch dressing is a good accompaniment. Cook defrosted legs at once. Remove any leftover meat from shells and refrigerate immediately. Use refrigerated crab meat within one day. Discard shells as soon as possible. You can also freeze the empty shells in a used resealable plastic bag until refuse pickup day to avoid fishy odors. How Long Can I Keep Leftover Steamed Crabs? 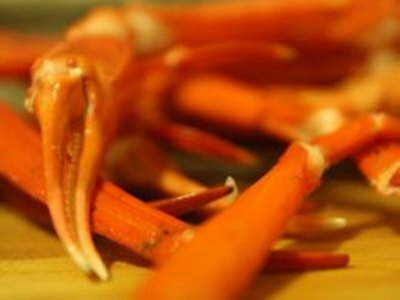 Do You Cut Open Crab Legs Before Steaming?